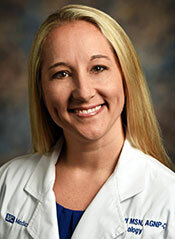 Melanie Huff, NP–C was born and raised in St. Louis and practiced as a combat medic in the US Army. She graduated Maryville University with her Masters in Nursing in August 2016. She began providing care to multiple sclerosis patients in 2013. She is a member of the International Organization of Multiple Sclerosis Nurses. She obtained her Multiple Sclerosis Certification in July 2015. She joined The MS Center for Innovations in Care at Missouri Baptist Medical Center in January 2016. Meet Our Team. They are here to help you fight MS.